We – Troop 252 & St. Paul’s has had two Eagle Scout projects completed onsite that will be enjoyed by the community for many years to come. 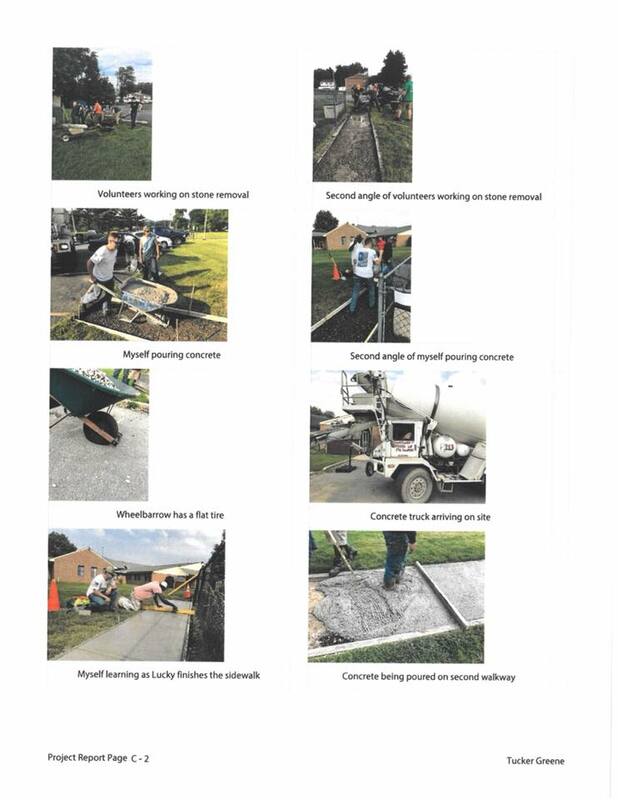 Tucker Green replaced the two rock walkways to the playground with concrete- running 218 hours time donated and $576 in materials that were not donated. Hunter concrete brought all tools and several men that worked much of the day. A bit of spare concrete was even wheelbarrowed over to a pot hole in the front parking lot! 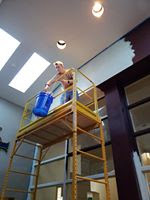 Connor Rafferty took care of the narthex painting that also allowed light bulbs replaced (using the scaffold) & cleaning of some of the glass windows. Hours (we know more than 14 people were involved) and cost are not in yet for that project just recently completed. RSP painting donated supplies/materials, scaffold and got Sherwin Williams to donate the paint! 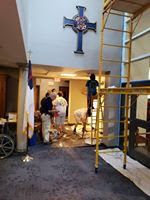 Unfortunately Only 6 of 10 bulbs by the alter could be replaced with that particular scaffold (too short), they did get the two bulbs I donated for the narthex swapped out. I’m proud of these Scouts. Each week, Bishop Gohl will be writing for our synod blog. Help Lutheran Community Services (LCS) win $20,000! Come out and join us on the 3rd Saturday of each month from 9:00 am – noon – bring fabric, your sewing machine if you like and a snack to share with your fellow quilters! Everyone is welcome! We get together, share food, fellowship and work on what we have – utility quilts for LWR (Lutheran World Relief), and lighter quilts for local agencies/individuals.